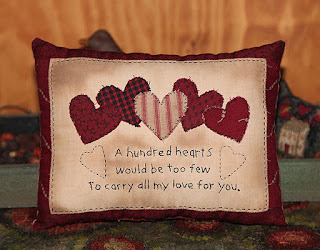 Free Punch Needle Heart Patterns! I am slowly getting back into creating again, sitting and relaxing is just not in my nature. Relaxing to me is working on projects while I watch tv and with the cold weather, I will be doing more of that for a few more months. 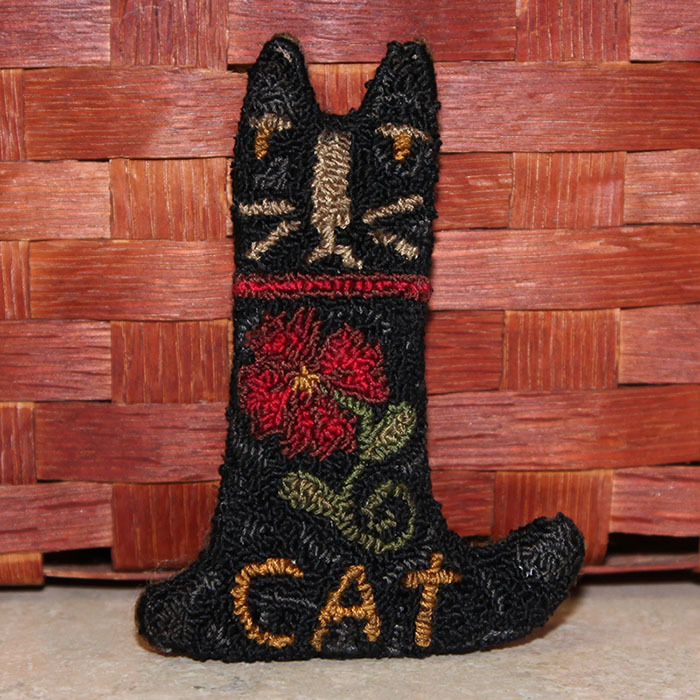 I wanted to try a punched kitty, like the ones I did with cross stitch. I used one of my cats for this piece to see how it worked. I am not thrilled with how it came out. I used 6 strands on all of it and a higher height for the designs and face and It came out too sloppy looking and the design is too big for the area. So, I will make some new ones with new ideas and designs that I thought of, while I made this one. I was thinking of making a pair and they could be used as Christmas ornaments or stand alone. If you have any ideas of what you would like to see, in new patterns, let me know and I will see what I can create. If I use your idea in a pattern, you will receive the pattern for free! I am also fighting off lyme symptoms again, so my joints and nerves ache, which makes it harder to do nice work, but I will still create. And my brain is on hold most of the time and I just noticed, I forgot to add his bell in the front, duh. I think for the next kitty I will make a collar to go around his neck. I hope everyone has a nice weekend. I am hoping to get out and enjoy a ride to the ocean, even if I have to sit in the car, it is nice to just be at the ocean. We may get a warm up, over 40 is going to feel warm. There are so many wonderful artists on the internet who share their talents with us, and there is something for everyone. I actually finished two projects but the bunny was finished today. 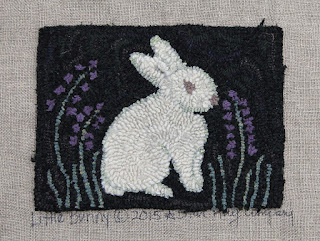 The bunny pattern is a freebie offered on Pattern Mart. 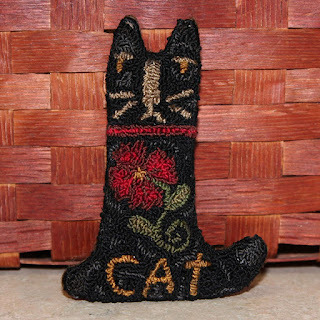 There are a variety of projects on their site for free and thousands of patterns from different artists. Be sure to sign up for their newsletter, they send one out, once a week and also have surveys that offer free patterns, as well. 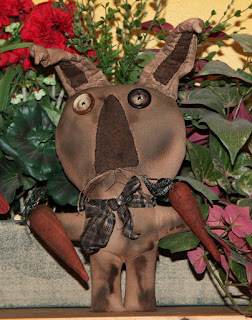 This guy is a creation by Catnap Primitives. He is one piece, except for the ears, so he was easy to put together and fun to change up by using what I had. I have a hard time focusing on instructions, usually after a couple sentences I get lost, so I just look them over and then cut out the pieces and put them together;) Check out her other patterns, lots of wonderful prims and most are under five dollars. I stitched areas on the ears to get the bunching and then I inserted a wire to keep them upright. I basically messed with them, until I got the look I want;) I hope you like him, he makes me smile. 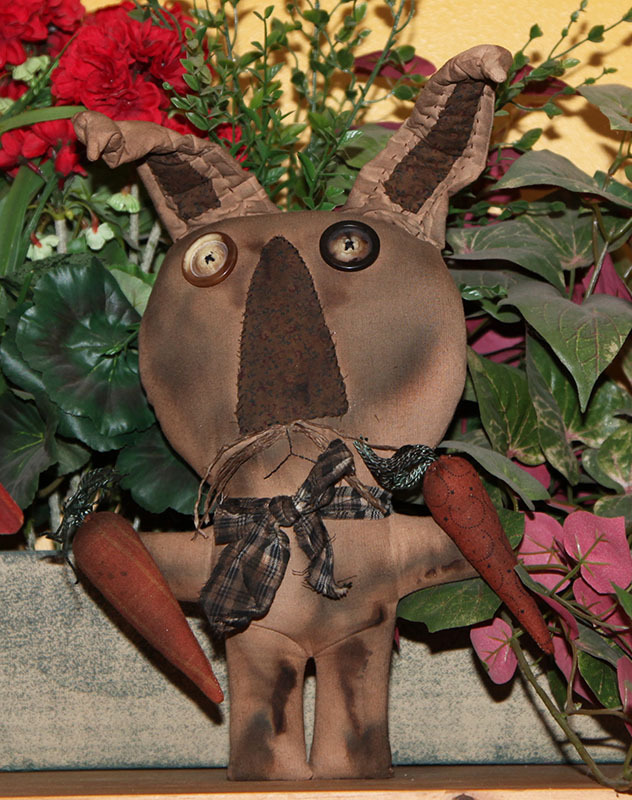 I moved him and didn't realize his carrots are crooked. I tacked them on to the hands, so they do move. My second project was to get my Buttermilk Basins BOM done. I love the first design and can't wait to see the next one. This is going to be a fun BOM and you will have a finished quilt for next Christmas, don't forget to get your copy of the first block. 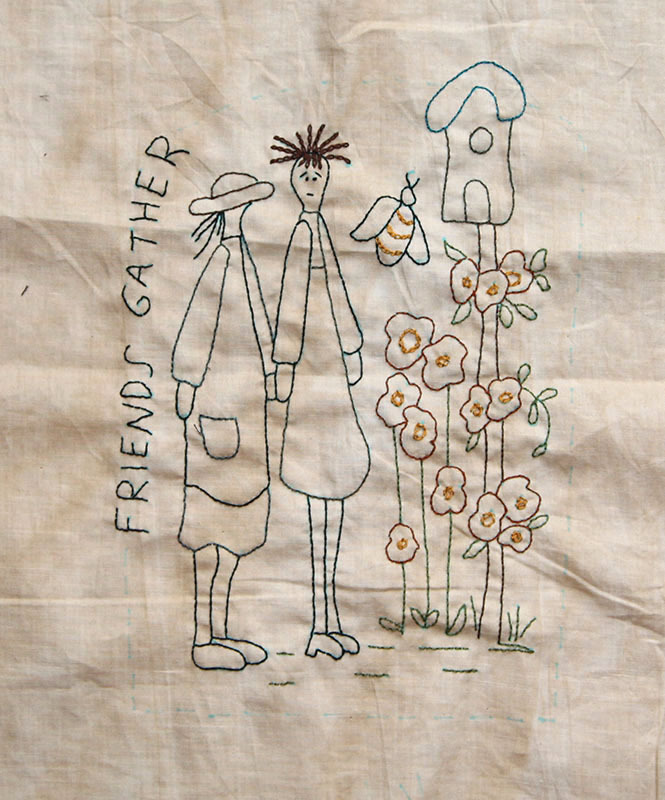 I am using Primitive Gatherings line of seasonal fabric for the backgrounds. The wool I use is a mix of new and over dyed thrift wool. I realized I forgot to add the fringe on the scarf and the star on the snowman, so I will add those on. I hope everyone got to work on projects this weekend. Snowstorms have their benefits. First I would like to thank everyone for your wonderful comments. I wish I could answer them all, but if you are a no reply, I can't email you back, but I wanted to let you know that I read them and appreciate them. This week I made a chair mat for my new chair. I wanted something that was primitive, simple, but a little artsy since this will be my creative room. I looked at ocean paintings and saw some backgrounds that I liked and then drew up my own with elements that I liked. The rug is 14" x 11", wool hooked on linen. I did the edge with wool yarn and left the backing folded under. Since this is for me and I may want to change or fix it in the future, the extra backing allows me to put it back on a frame. Now I need to find a rug to match the room. It is a beach room, whites, grays and distressed pieces with touches of color. So, I am thinking that blue may not be a good choice, but something in an aged white look? What do you think? If you see something that you think would match, send me a link, so far, nothing says, that's the perfect rug. I am looking for 6' x 4' rectangle and would prefer a pile, since it is a basement room. Now we are getting ready for the storm, we are getting more than they predicted, but we are all set with a new generator, just in case. I hope everyone stays safe and warm tomorrow. This weekend was spent hunting for furnishings for the new rooms. We hit stores and consignments and nothing that said, this is perfect for the room. On Sunday we went to the antique barn which houses over 100 booths of vendors from antiques to primitives and lots of vintage items, as well as handmade items, so it is a fun way to spend a few hours. I tend to look at things from a different perspective, not what it in front of me, but those hidden items that no one else notices. In one booth, I saw what I would call, a lot of junk, but holding some of that junk was a chair and it had a tag on it. I liked it, but wasn't sure, so I walked around and looked at some other booths and thought, I like it, and I better grab it before someone else does, so it came home with me. Bill took it up front to hold and everyone that saw it, loved it, so it shows, sometimes we miss the good stuff that is being used to display other items. I am so glad I got it, it fits perfectly with the new desk. 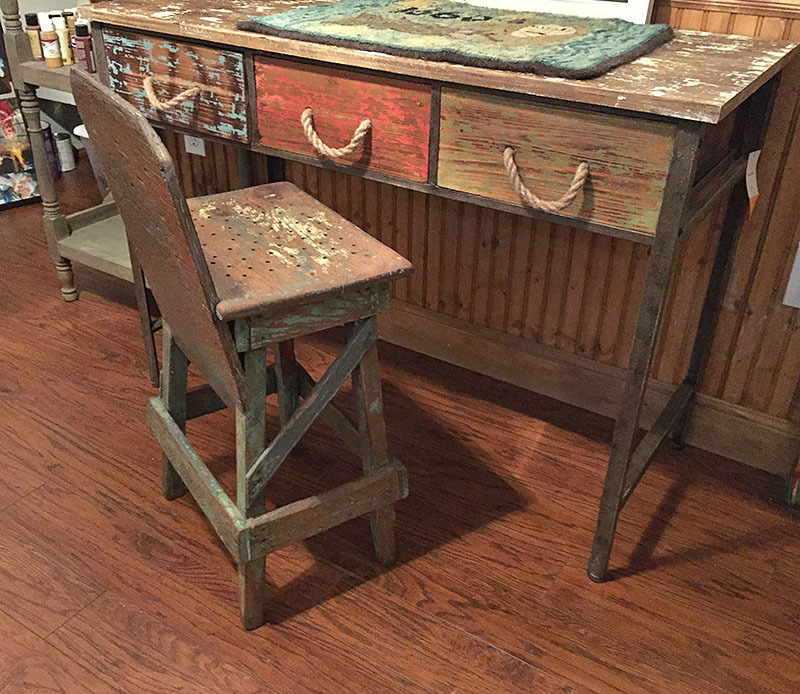 It has that beach, hand made, antique look. I actually pictured it in my mind and never thought I would find something like it. The leftover paint is blue and green, so a perfect match. 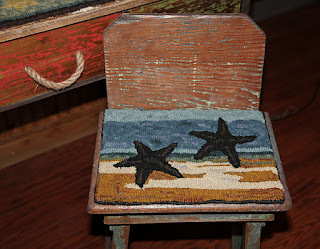 Now I need to decide on a chair pad, I will hook one for this seat and I am thinking of something simple with my thrift wools to give it a raggy look. While we were browsing the booths, I spied this wonderful vintage table and thought of my friend Allie. 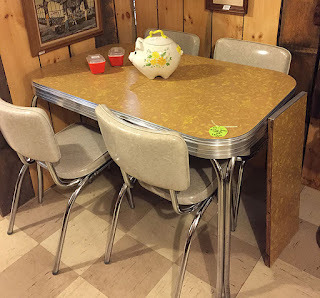 She loves the old tables and I thought this one was unique with the yellow top. So, I took a photo for Allie.Allie is also hosting a joint sew along, so visit her blog and check out the Postcards from Heaven BOM, I will definitely be making these. Tonight was spent watching Nicholas. He is full of energy and Grandma is fighting off a flu. One fun thing is, he loves to help me unload the dishwasher, so he hands me the dishes from the bottom and that is a big help, even if it takes longer;) He loves to follow me around and check things out, maybe I will have a helper when I need to cut fabrics, later on. 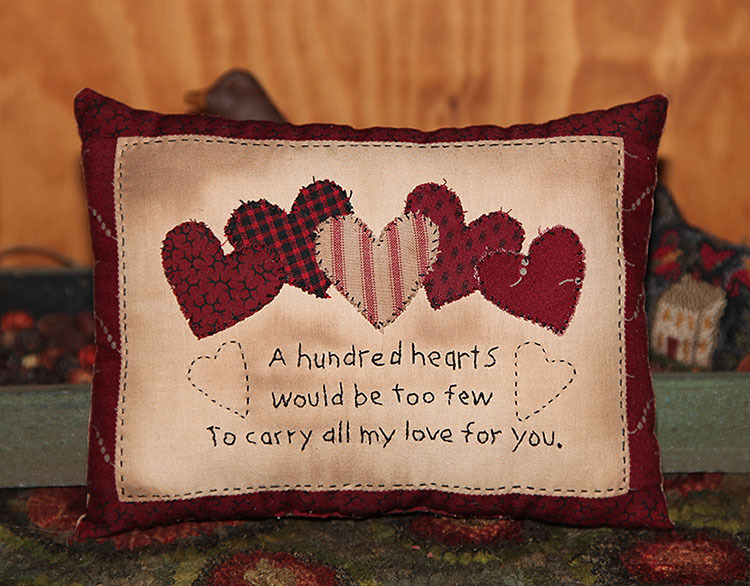 I decided to make a special Valentine piece, and found this saying that was perfect to put on a pillow. I added the saying first, then placed hearts onto it, until I got a look I liked. I just used raw edge and stitched them on, keeping it prim and easy to do. Another project that was fun to do and using up more scraps from my basket. The pillow is 7" x 9". I thought it would be a fun way to give my husband a Valentine, instead of a card. Have you seen Buttermilk Basin's new BOM? I love the first block and it is another one, I will do. I still need to put sashing on the blocks I made, so I guess I better get busy with quilting this year. I over sharpened it, so it might look a bit harsh. Next month is Valentines and I thought it would be fun to try some new hearts. They are easy to do and something you can make in a day or two. The punch needle hearts were done with DMC floss and I used a #3 for the design and a #1 for the background to give it a raised look. After punching the design I used a piece of red wool for the back and stuffed them. The edge was done with wool yarn that I sewed on, gathering it as I went around to get a little scalloped edge. I started from the center top and left the ends long enough to make a hanging cord. Perfect to hang on my valentine tree. You can also hook these or do them in appliqué or stitchery. The finished hearts are almost 4" long, but can be done in any size you like. 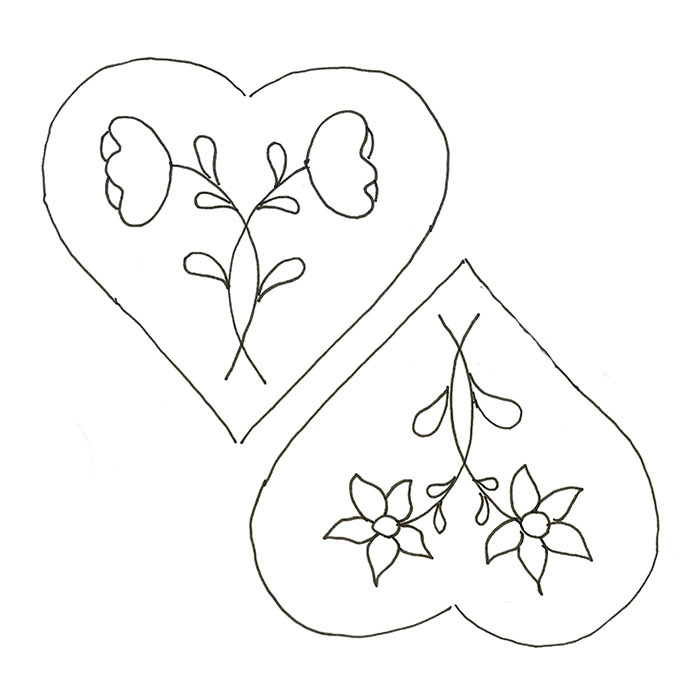 Here is the patterns for the hearts, I did them mostly by hand, so the patterns are not exactly the same. 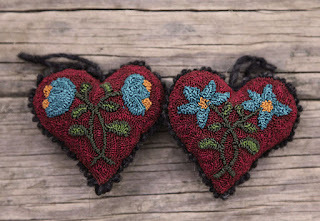 Another thing I tried this week is woven, fabric hearts. 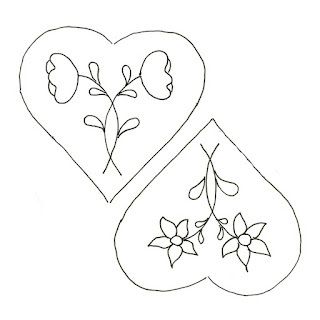 I drew out a heart design on a piece of card stock, then traced that onto a piece of light fabric, with a water erasable pen, but you can use anything to trace the design on, you will not see it in the end. I laid strips of fabric across the heart, making sure I covered all of the areas and pinned them on, to keep them from slipping. Once I had the heart covered and pinned, I cut away the excess fabrics, leave about an inch, all around. I sewed the strips onto the heart, using 2 strands of Dmc black and a running stitch. You just want to sew the edges of the top pieces, not across the areas that run under the tops. This way you keep the weave look and not block them off with cross stitches. Once they are all sewed down, you can cut off the excess fabric and sew the front to a backing. I used a floral print to make it pretty on the back. I stuffed mine and then antiqued them with walnut spray. Since they are bowl fillers, I kept them as is, but you can also make a hanger to hang from a knob or rack. 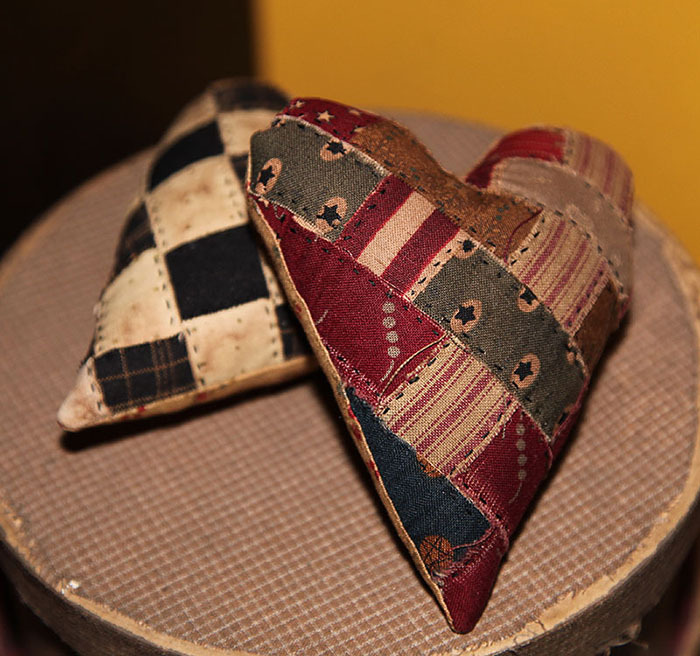 You can use a fabric heart to back the strips, or fusible would work nicely too. Just make sure you have the strips laid out and tightly together, before you iron them down. 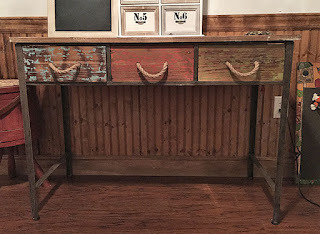 This is a great way to use up scraps. I may try some small pillows with an appliqué, next time. You know what they say about the best laid plans, that was how my week went. I think I have the after Christmas shut down, I just need to rest a bit and gather my senses and then I can tackle things again. I had planned on posting a freebie but the pieces are unfinished. I took my machine in and I cannot get my little one to work right, it keeps nesting on me, so I am hoping I can get it figured out and have the pieces ready for Monday's posts. Today I also wanted to ask a question. I ordered a rug and it came in today. I got it from Overstock and wondering how others like buying from them, this is my first experience. I love the rug, much nicer than I expected and nothing wrong with it but.. It smells musty. It came wrapped in a ton of plastic wrapping with the original wrapping and I think it has been sitting this way in a warehouse for a while, so moisture probably got into it. It this normal for shipped rugs? I usually get them at the store, but needed a longer one for my hallway. I wanted to get other's opinions before I order any rugs online, again. 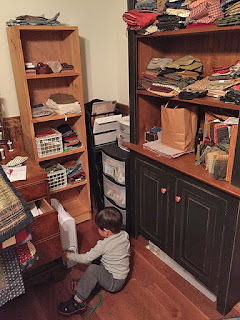 One of the things I wanted to do was to redo my sewing room. I moved everything around and all I did was make more of a mess, it was better the way it was, lol. Now I need to rethink it and clean up the mess I made. I am decluttering and putting things in boxes that I don't use as much so I have more room to work and less cutter on the tables. This is my disaster today. I used my phone so I could use the panorama so the room looks distorted. I did find a nice table for my beach room. I was going to redo one of mine, but I decided to keep that one for wood work and get a smaller one to use as a desk for painting smaller items or boxes. Now I need to find a chair to go with it. I think a thrift store should have something I can use for it, or maybe a simple, small beach bench style. And here is a panorama of the room, it is a work in progress. I plan on painting a scene on the far wall and I still have a wall that you cannot see. I am thinking I might just put my new quilting machine in this room, then I can keep my sewing room less cluttered. I am still looking for the perfect rug. I want it to fit the beach theme but by colors or something fun and artsy to put a pop of color in. 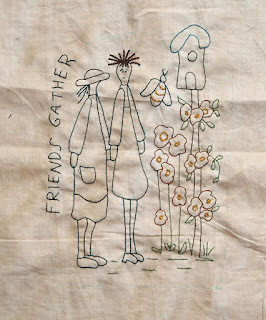 It will be fun making some small art quilts to add to the walls. This looks off since I panned around the room on three sides, and the walls look spotty, but that is because the nautical lamp throws off shadows with the cut glass. I hope everyone has a nice weekend, rain here and Nick is coming to hang out with me tomorrow. Hopefully I will have something fun you can make, ready for my Monday post. With the holidays and getting things done around the house, the week flew by, so I decided we needed to get out and enjoy the last weekend. 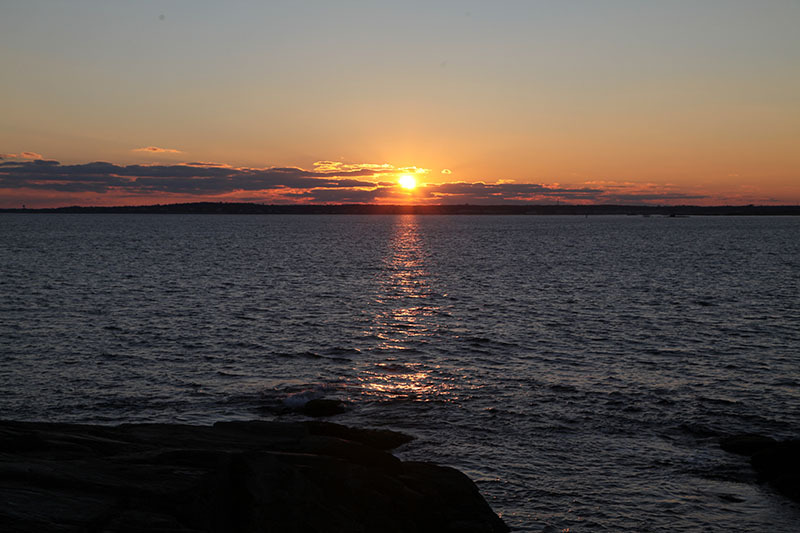 It was a bit cold but the weather was beautiful and the skies clear, so a perfect weekend for enjoying some sunsets. 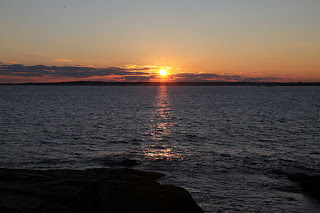 Saturday we went to Beavertail Lighthouse and watched the sunset from the cliffs. 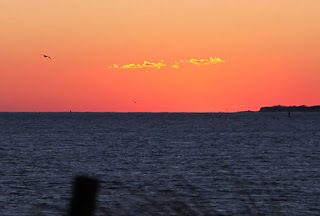 There were clouds on the horizon so we were treated with a show of colors as the sun went down between the clouds. A wonderful way to end the first day of the new year. Sunday we went to church and I had forgotten that they were having a concert after service. We stayed and enjoyed beautiful Christmas music from the adult and youth choir. 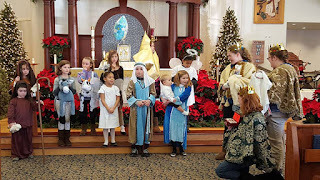 I started getting too sore to sit any longer so we missed seeing the children in a reenactment of the nativity, so I stole a photo from our church page. A wonderful way to end the Christmas season. 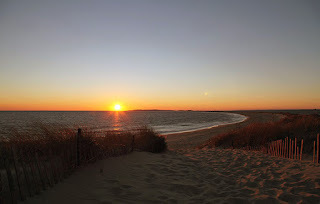 We decided to do some shopping at the south end of the state and I realized we were only a half hour from sunset, so we went to Watch Hill and watch a spectacular sunset from the dunes. It was definitely cold, but well worth a few frozen fingers. 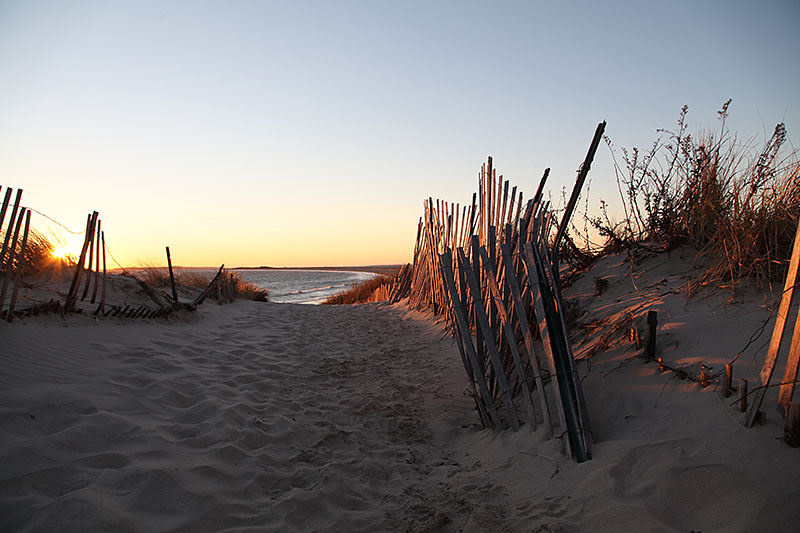 Walking to the top of the dune, the sun beaming down on the landscape. The sun just as it hit the horizon. No clouds in the sky, the sun looked huge over the water. 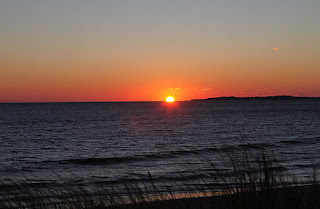 The sun appeared to be sinking into the sea and it cast a beautiful glow across the ocean. 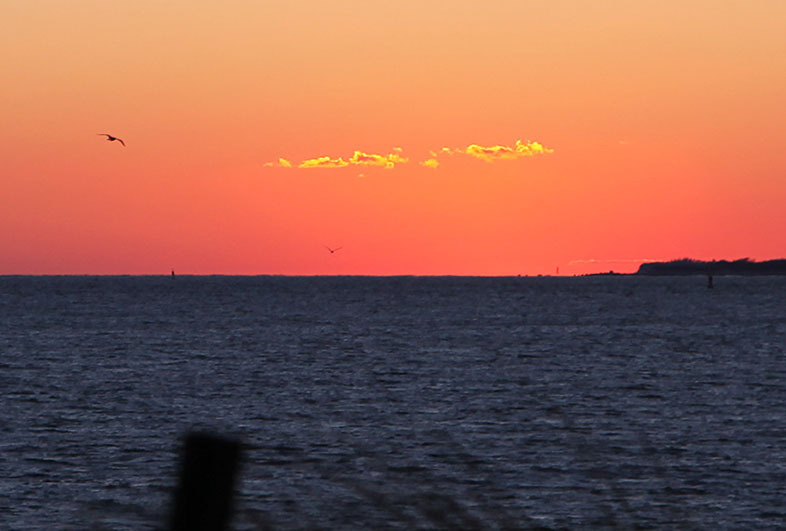 The land in the distance is Fisher's Island, New York. This is an area that you can see all three states and cross the line if you are in a boat. Even as the sun disappeared it cast a beautiful glow across the sky. This is a wonderful place to watch the sunset, though you have to hike through the sand to get to the dunes. 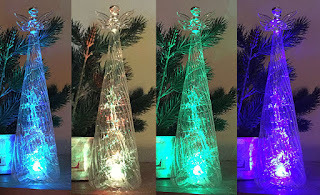 Our shopping trip was a bust for items I was looking for, but I did find some fun christmas items on sale. I found feather wings that are ornaments, but I will use them on pieces I made. 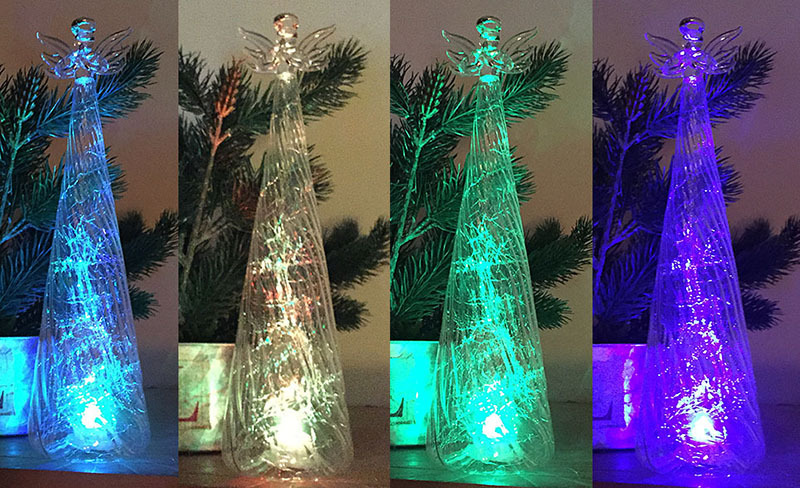 Another item I loved was this angel, she changes colors with optical lights, hard to catch the true lights with a camera but this gives you an idea of how it looks. This will be perfect to put with Dani's tree next year. I hope everyone had a good weekend and now I plan on getting back to creating again, so hopefully there will be new quilts and punch needle patterns in the coming month. 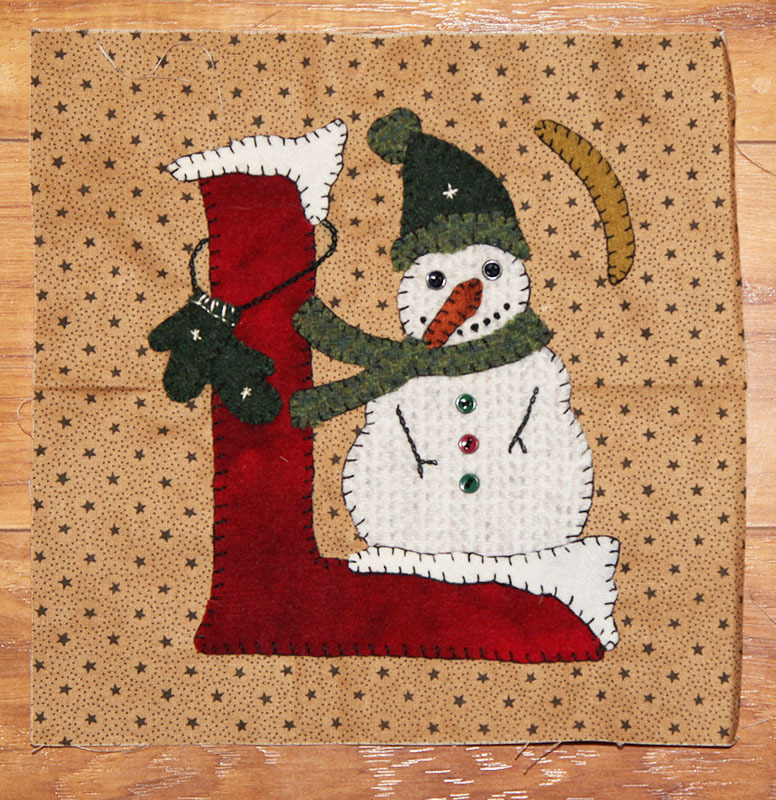 This week I decided to hook a rug from a pattern that my friend Cyndi sent me. I wanted to be fun with it so I used wool roving cord to hook the bunny. It still looks hooked, but I am thinking of fluffing it up a bit to make it more 3D. I also wanted the flowers to show like that too, so I might hook those over to raise them and maybe even use wool yarn for the flowers. It will be a wall hanging, so no one will be walking on it. I finished the hooking, so now I will decide if I want to change it to 3D and also a border for it. I am thinking this would look nice with a braided border and even thought I braid rugs, I have never done a braided border, so something new to try. The rug is 10" x 13" and a design by Star Rug Company. I love how the colors pop against the black, but still a bit muted on the flowers. The camera tends to make everything look bolder than it actual is. The white rabbit is lighter and I will keep it that way, happy pieces are what I seem to be gravitating towards, lately. I will still be doing prim, but I would like to do more folk art primitives and try some new designs of my own, this year. I hope everyone has a wonderful weekend. I think it is time to finish the last rows of the flying geese quilt, that I was working on this year.